Overall, our room transitions have gone very well! The hardest things have been when one of the boys wakes up and cries and wakes the other one up. This has happened several times but only one really bad night where it took more than 1 attempt to get them back down. Hopefully they are slowly getting used to the sound of each other. I do not put them together to nap usually. 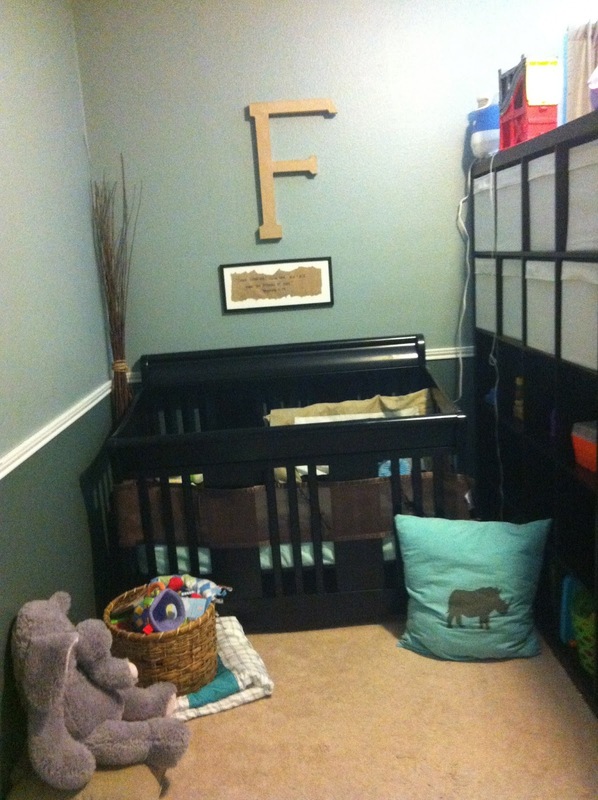 I keep Fischer in the pack n play in my room...this tends to work a little bit better. LK has handled things fairly well. The first few days, she was extra clingy and emotional. She also had a few night terrors. This is all very common behavior for her anytime there is a big change. So here are the pics of their "finished" rooms. I still have a few projects coming in the future. 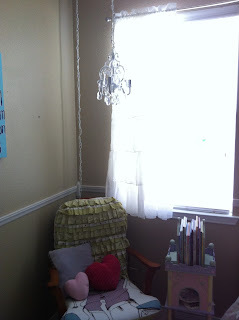 I kept the wall up (yes anchored to the wall) to provide some privacy. This is Shep's bed. 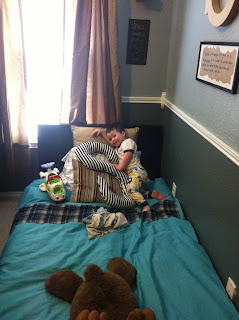 We chose to move his big boy bed to the same place where his crib was. He trained very quickly on his big boy bed and has stayed in it every night/day. 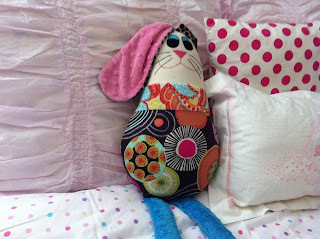 His duvet I made from sewing two sheets together and I also added a plaid scarf to the top. Curtains were some I had in the linen closet. 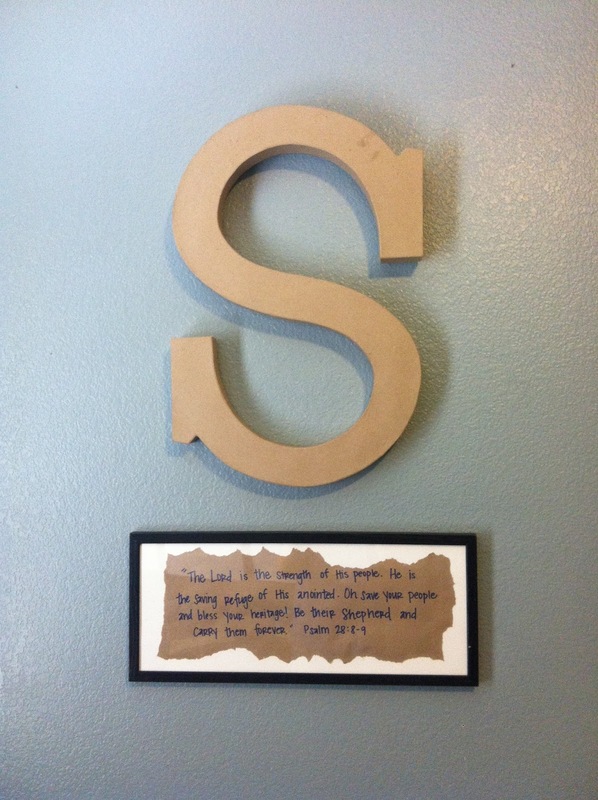 I purchased the cardboard Letters at Joann's. And I repurposed the frames for the boys verses. Fischer has adjusted very well to Shep's old crib. 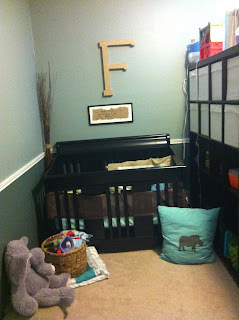 We moved his breathable bumpers over, as well as his rhino pillow on the floor that I had made for his nursery. 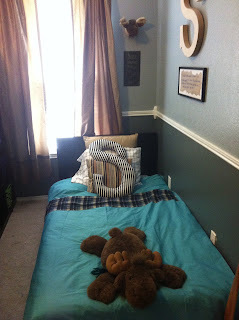 I also made a quilt/duvet for him with extra fabric and sheets. It is folded under the toy basket. Shepherd loves his big boy bed! 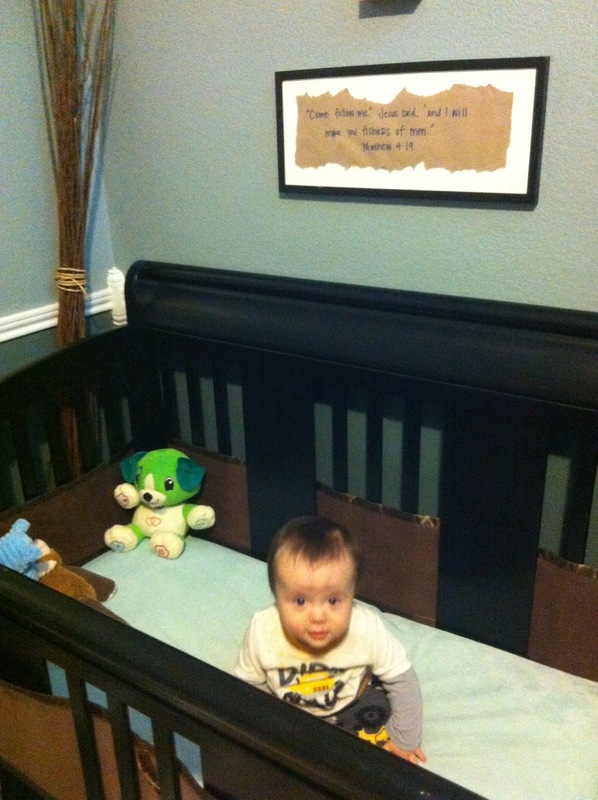 Fischer loves his big boy crib! 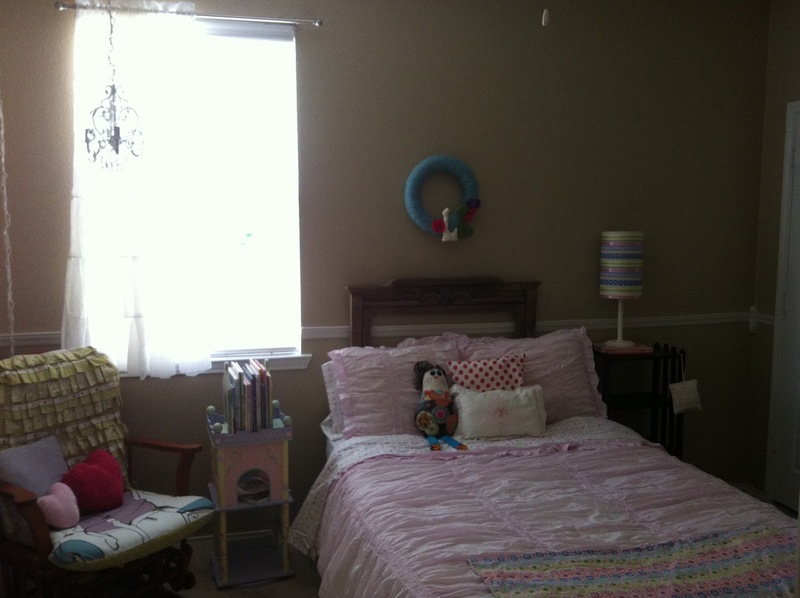 I love how the sasster's room turned out. LK's bedding is from Target (thanks Grammy! 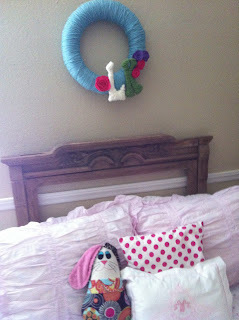 )and I made the yarn wreath. The chandelier was from Amazon. 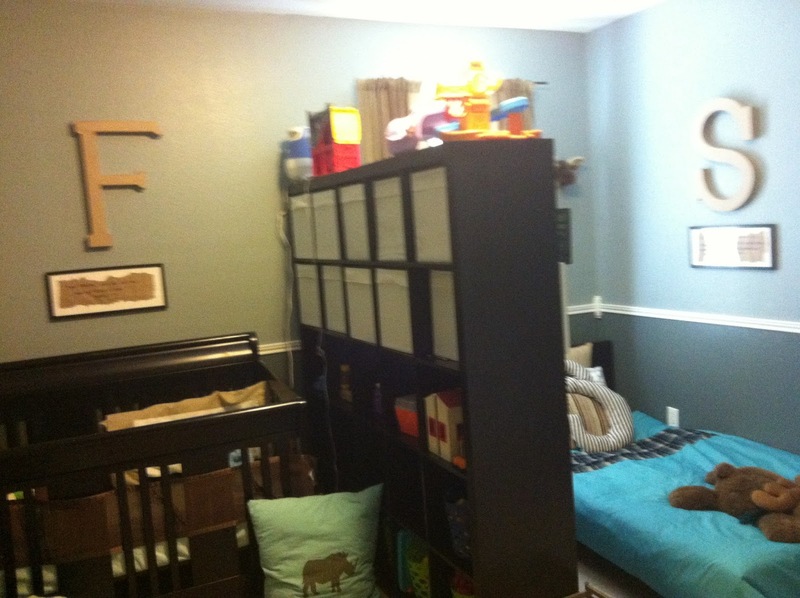 I recovered the glider with scrap fabric I had and the castle bookshelf is still my favorite baby gift I received when I was pregnant with LK. The cube shelf is the same one we used for Fischer's nursery. 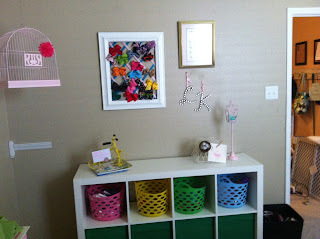 The bins I already had in a different room from IKEA, and the baskets are from the dollar tree. I spray painted a "lantern" I had pink and put a bird candle in it to make it look like a birdcage. The basket I have had for years and repurposed by turning it upside down and using it as a message board. 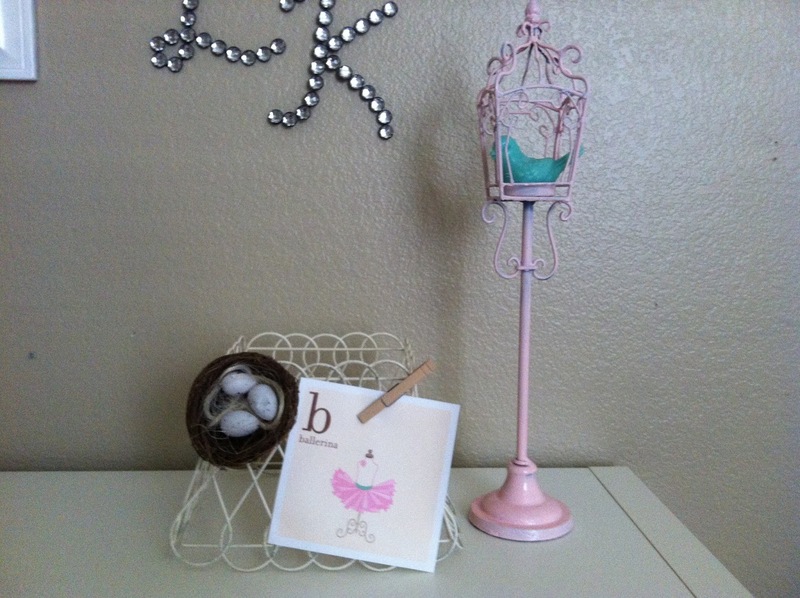 The birds nest came from dollar tree. 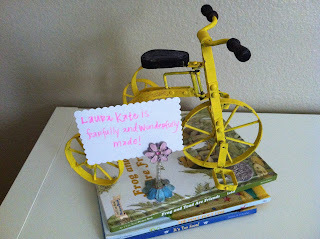 The yellow bike is the one I painted for Shep's nursery back here. 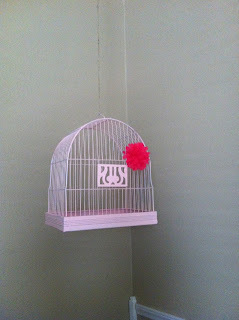 The Birdcage my mom found in an antique store for $10. I cleaned it (scruuuuubbbbeeeedd, and bleached as you should anything a bird has pooped on), and then spray painted it pink. The flower is actually a hair clip from last year's dance recital. 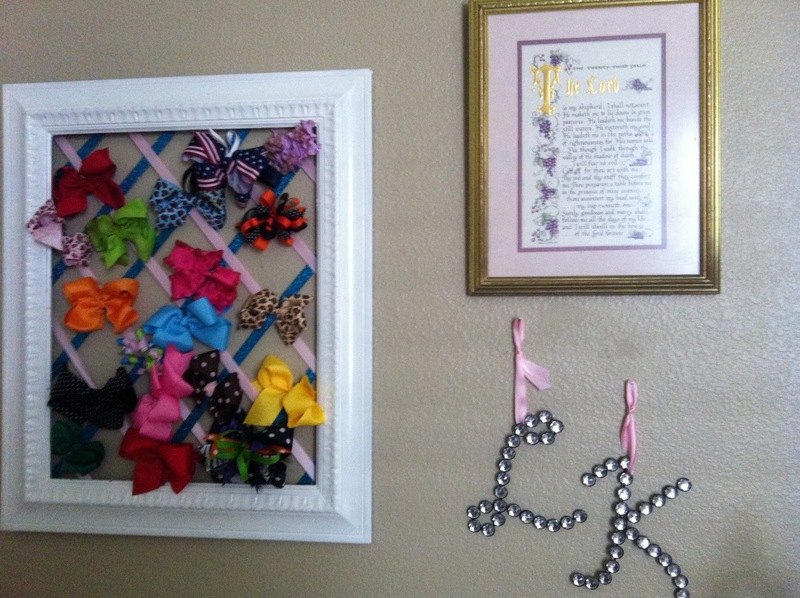 I made the bow holder using the frame from her gumball mosaic (which had seen its final days when they all started falling off) and crisscrossing ribbon on the back. 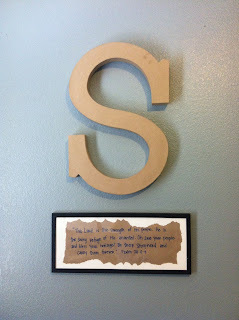 The picture is the 23rd psalm that my aunt gave me and the jeweled letters were a gift from Grammy. The Yarn wreath I made back here. 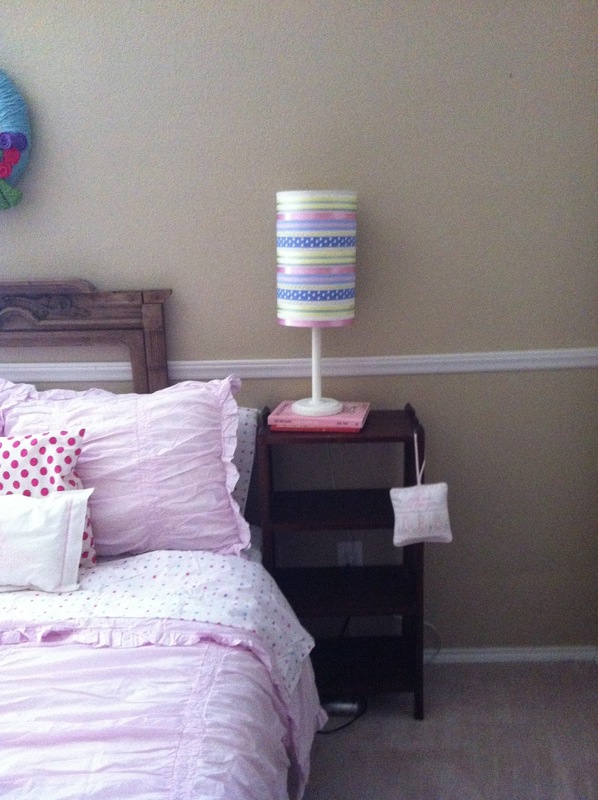 The "headboard" was a favorite treasure/find from my Grandpaw's barn. It was actually my great-grandmother's dresser mirror frame and is somewhere around 90-100 years old. It still needs to be sealed. 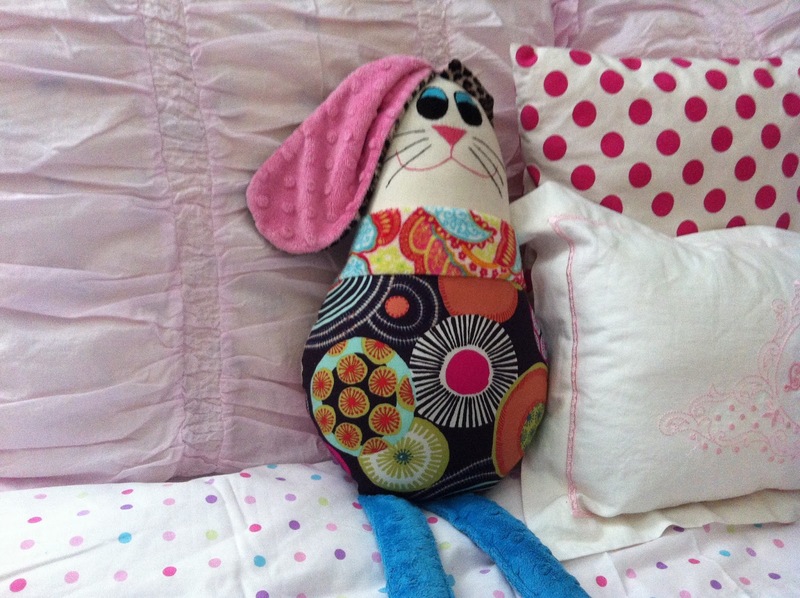 "hugga-bunny" was a gift a friend made for LK a few years ago. I love her.